The National Institution for Human Rights (NIHR)’s Committee on Complaints, Monitoring and Follow-up convened its 19th regular meeting under the chairpersonship of Ms. Maria Khoury and membership of Mr. Khaled Alshaer and Mrs. Rawdha Alaradi. The Committee reviewed all the complaints received by the NIHR during November and December, amounting to (13) complaints, which varied between the right to education and the right to health, as well as the legal assistance provided by the NIHR, amounting to (35) cases of legal assistance. In addition, the NIHR observed (1) case via the media and social media and received (60) calls via the toll-free hotline for receiving complaints during the said period. 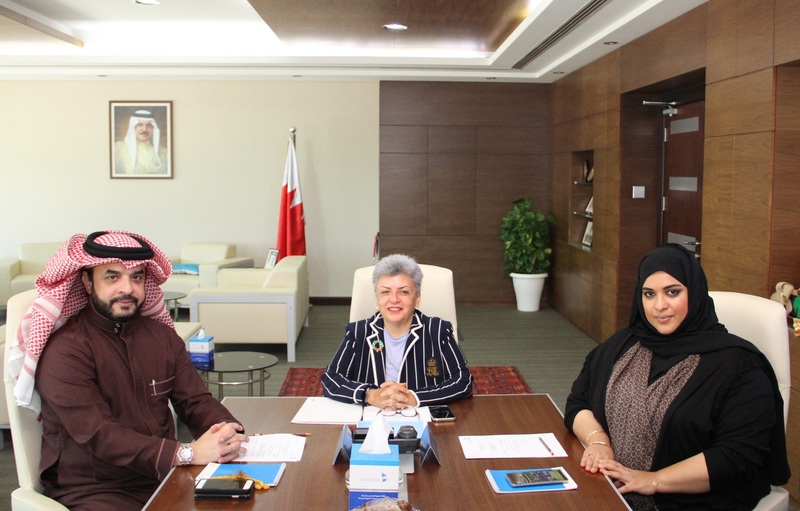 The Committee expressed its desire to coordinate visits at the beginning of 2019 to a number of ministries and agencies in Bahrain, with a view to discuss some common issues and find means to extend the bridges of cooperation between the NIHR and such bodies. The Committee also discussed the health file related to healthcare and the services provided to diabetic patients by the concerned bodies. It is worth mentioning that the NIHR receives complaints and applications for legal assistance either personally or via the toll-free hotline (80001144), the NIHR’s website (www.nihr.org.bh), or the (NIHR Bahrain) smartphone application.